Der Artikel Fikret Amirov (1922-1984): Shur wurde in den Warenkorb gelegt. 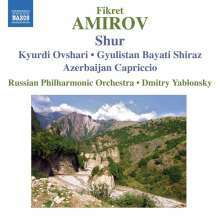 A prolific composer in many genres, including operas, musical comedies, songs, orchestral works and stage and film music, Fikret Amirov came to prominent public attention at the age of 26, when his two symphonic mugams, Shur and Kyurdi Ovshari, were first performed in Baku in August 1948 to popular acclaim. 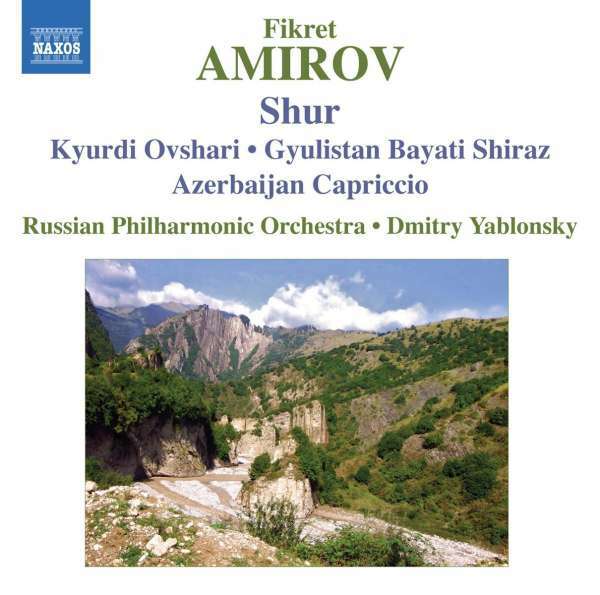 Based on the Azerbaijani mugam, a highly improvisatory form of folk-music which alternates song and dance-like episodes, Shur and Kyurdi Ovshari, together with Amirov's third symphonic mugam from 1971, Gyulistan Bayati Shiraz, sparkle with brilliant orchestration, rich melodic invention and expressive instrumental solos. 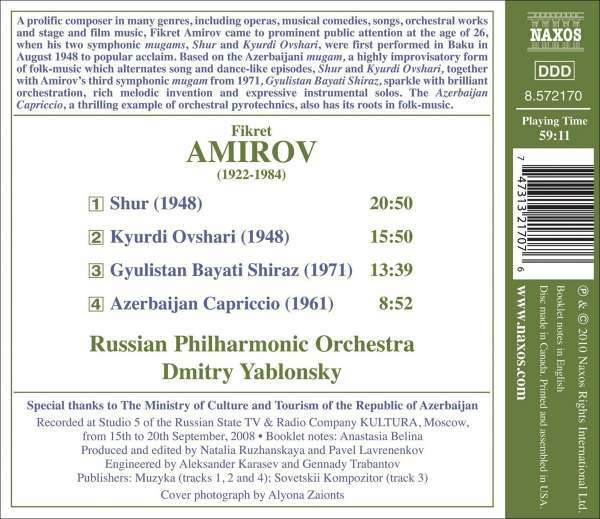 The Azerbaijan Capriccio, a thrilling example of orchestral pyrotechnics, also has its roots in folk-music.